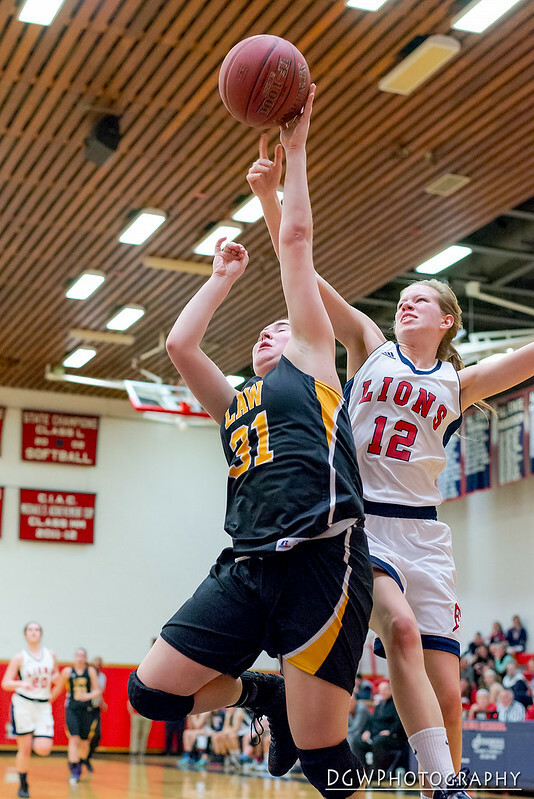 This is what a cross-town rivalry is about. 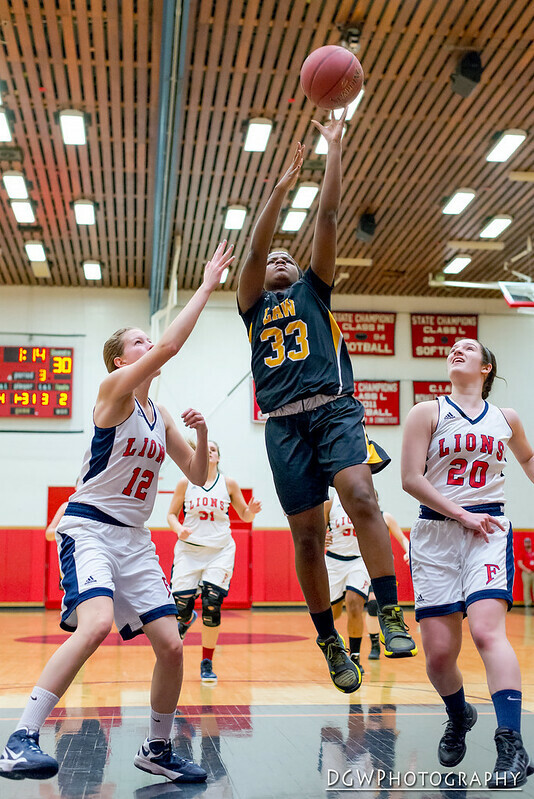 A close, tightly fought game decided at the buzzer. 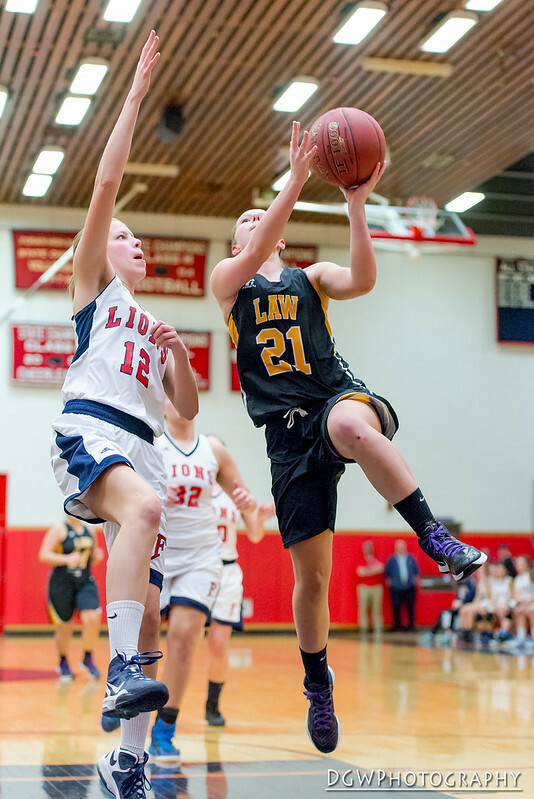 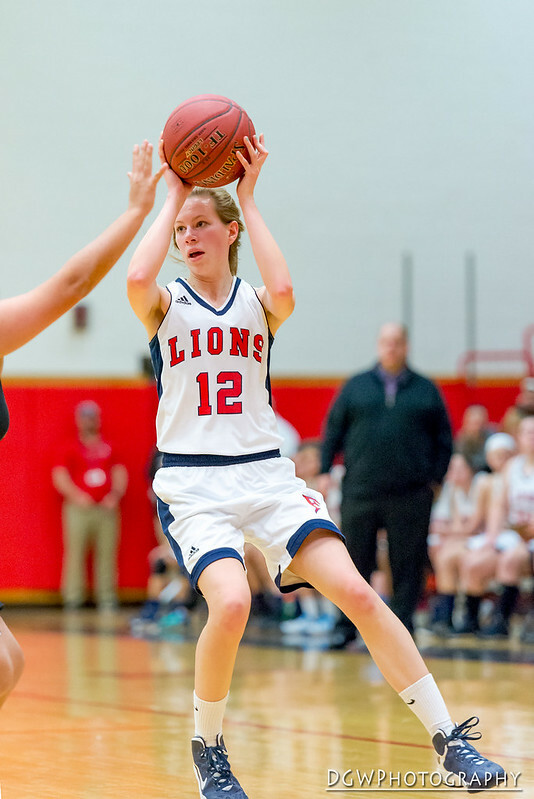 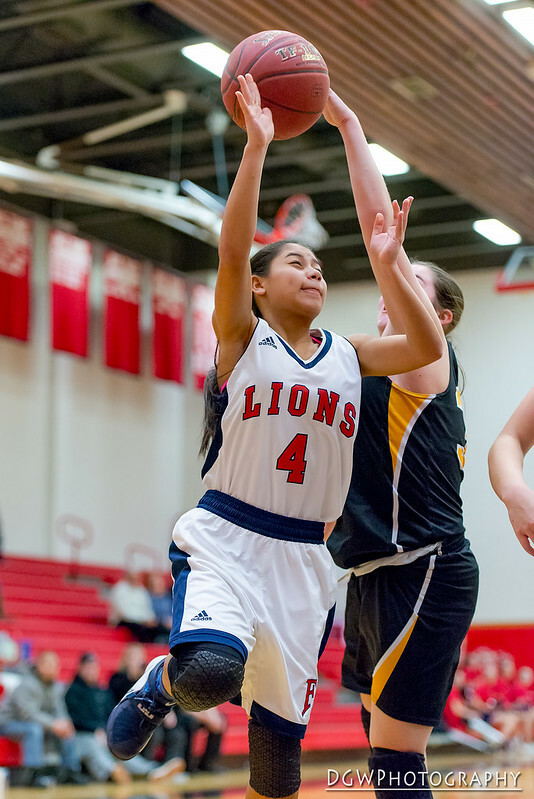 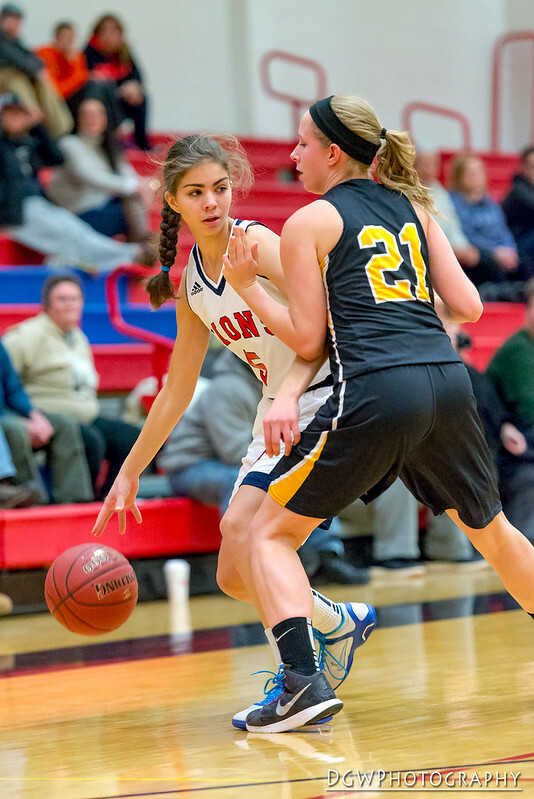 The Foran High girls basketball teams defeated Jonathan Law, 44-43 win when Freshman Jasmine Lord hit a 3-pointer at the buzzer to complete a comeback victory. 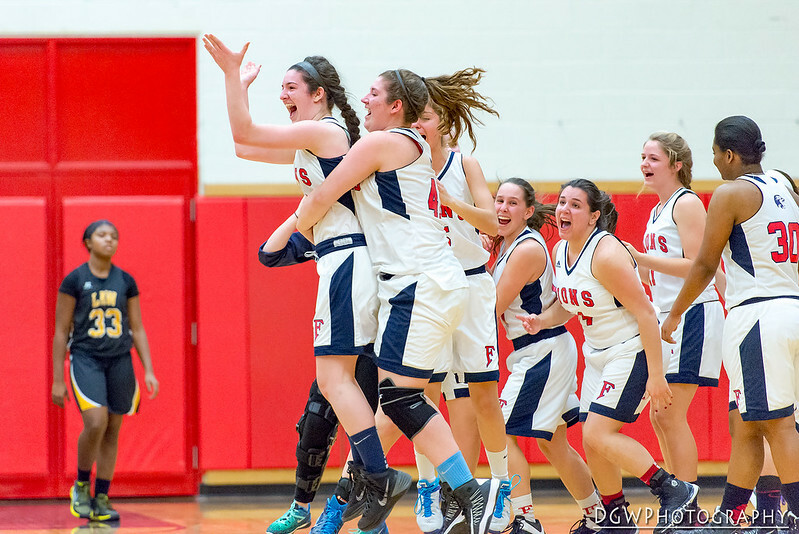 The Lady Lions celebrate after Jamine Lord's 3-pointer at the buzzer.